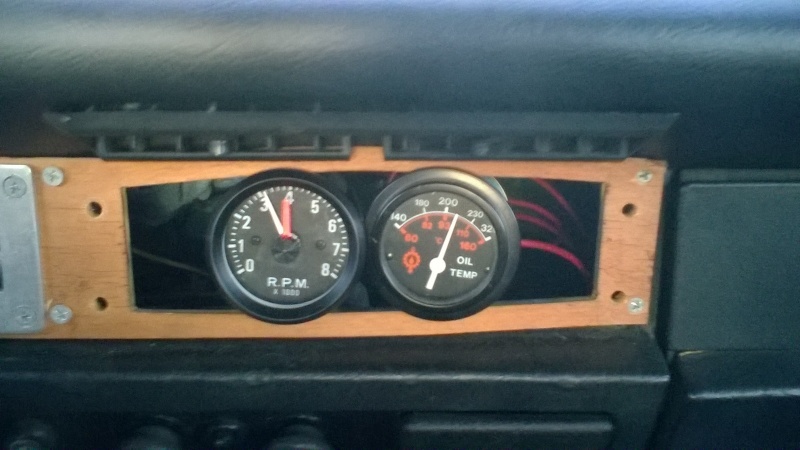 My daily driver, with a stock 1600dp, has started running really hot after swapping engines. The current engine just had the jugs and pistons replaced. Intake, alt and doghouse (flaps removed) swapped to current motor from another that had no heat issues. The oil gets hot enough that the oil light will begin to flicker or occasionally come on at an idle. The valves, timing and carbs have been adjusted which has helped a little with the power but not so much with the heating. 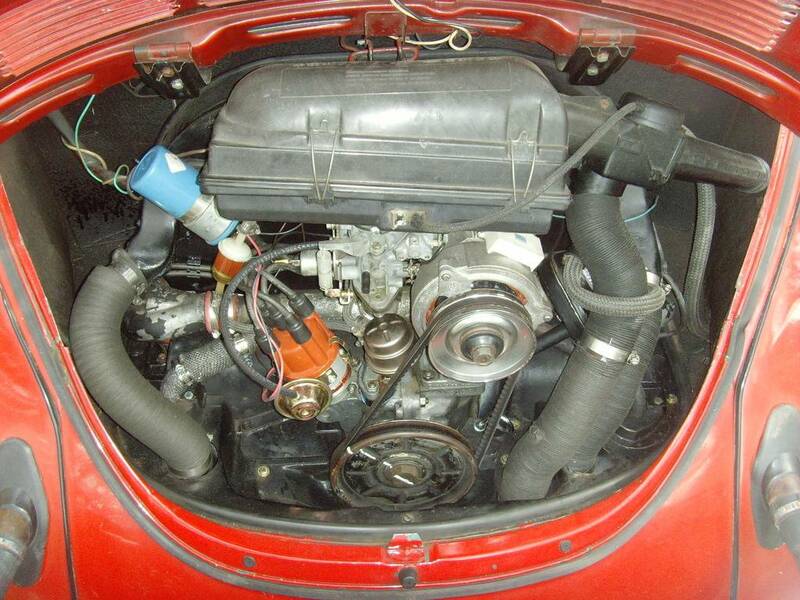 1958 Euro Beetle "Raggedy Anne"
CR, proper timing and fuel jetting are a must for a happy motor. new engines produce more heat initially, wonder if that is the case here, what is your timing set to? Got the vacuum canister installed last night with no noticeable change. I am going to try spark plugs and wires next. Compression on #3 & 4 were approximately 90 and 100lbs respectively. seems a tad bit low for new rings, but maybe they aren't fully seated yet with <500 miles on them. All of the tin is in. Flaps are removed. Distributor is a Pentonix D1865 with electronic ignition and single vacuum advance. Timing is advanced approximately 7 degrees at idle. Ides Set total advance to 28 degrees at 3000,rpm ditch the 7 idle theory. Loose the temp switch from pressure relief valve and install it back to its stock configurations.Make sure belt is not slipping on that shiny chrome pulley and make sure you have a nice late model wide fan in place. Check that air cleaner and make sure it's working correctly. Something looks off on it loose the fuel filter from engine bay not a good place to have it. check fuel lines make sure there clear of all hot pipes and tinwork. Make sure a rag hasn't made it on top of motor below fan ect. Last but not least double check timing marks on pulley critical that there correct. Was the over heating problem solved? If not maybe the oil pressure relief valves could be stuck. 70 and later engine had two valves. One or both might be stuck which can cause the oil to overheat. Gearshift wrote: Was the over heating problem solved? If not maybe the oil pressure relief valves could be stuck. 70 and later engine had two valves. 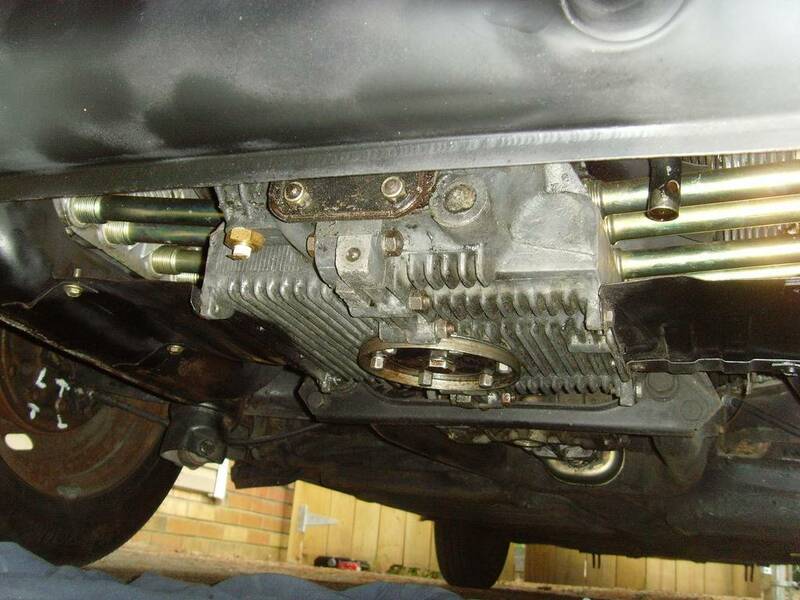 One or both might be stuck which can cause the oil to overheat. JWILL wrote: Flaps are removed. With the flaps installed, it is said that cooling will actually be improved over running without. The flaps help to direct cooling air to vital areas. They in no way harm an engine, even in hot weather. If they did, then they wouldn't have been standard equipment in all VWs. Not sure how much the flaps affect the air flow. I can tell you the overheating did not start until this past year...about the time I replaced the pistons and rings. Is it possible that the rings are not sealing correctly and the blow-by is super heating the oil? Others than the overheating, it feels great when I step on the gas...so I am not sure. Either way I have another engine in now that does not seem to be overheating. I didn't drive much after getting stuck on Washington road Saturday night...power wire came off the coil and took me 10-15 min to figure out what happened. Still having a few issues here to solve before this weekend or my beetle is going to have to sit Cruise the Coop out. The heat is coming from the driver's side. Passenger side tin is still cool to the touch (including the dip stick ) after a hour drive. Around town my gauge is about 180' but on the interstate she gets up to 210+ and the oil light begins to flicker when the rpms drop below 1500. Sprayed some carb cleaner around the left carb tonight and couldn't detect any leaks. I will check my valves in the morning. what is yoir timing set at.pertronnix are know to have to much advance. Is your vacuum advance working correcrly. What size is your main jet. What cooling fan are you running and is you og air cleaner vacuum section working correctly. 210 is fine. Sometimes the oil flickering light can be normal. Even the original owners manuals make mention of the flicker. -I tried the 28'btdc at 3000rpw but that ended up 10'atdc at idle and it barely runs, so I am somewhere around 7' btdc at idle again. -I do have the larger fan. -You can feel the vacuum line suction when you review the engine and the timing does advance when you place a suction on the diaphragm. Maybe I am confused, but wouldn't these cause both sides to run hot? -Not certain I trust the temp readings as fact. At the moment I have a mixture of 20w50 and 15w40 in the case. What really bothers me is how hot the driver's side gets while the passenger's side stays cool. Try running it at 32 degrees, the amount of advance at idle isn't really important, just as long as it does idle. how are you determining the temp of the two sides? What size is main jet this will help top end but you cant go to big also what is your air correction jet. Too much overall advance No good. When you set it to 28ish at 3000 you should be between 7 and 10 at idle should not go below zero.. Would not run any mixed weighted oils . if your running slip in 88s throw them in the trash. I am determining temperature by feel. You can put your whole hand on the passenger side tin without a problem, but the driver's side you can barely touch when it gets hot. Also if you spray water on the driver's side value cover it boils while you can touch the passenger's side. Going to skip Cruise the Coop tomorrow and swap the cards to see if it makes a difference.